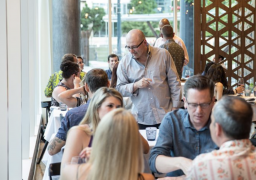 Bon Appétit Presents Feast Portland returns for its seventh year, Thursday, September 13 –Sunday, September 16, 2018. 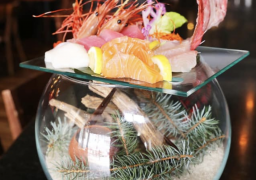 The Pacific Northwest’s flagship food and drink festival and leading national culinary event continues to bring together legendary and emerging culinary talent at more than 40 inventive dining experiences. The 2018 schedule, packed with large-scale main events, more ‘not too big and not too small’ fun-sized events, once-in-a-lifetime dinners, cutting-edge tasting panels, immersive classes and killer industry parties, will give guests countless ways to Feast across the four days. New this year, top chefs will battle for the best decade in an 80s vs. 90s throwback throwdown to kick off the weekend. Friday evening’s Night Market introduces a ‘Ring of Fire’ theme covering a breadth of adventurous food and drink. Seven new Fun-Size events are creatively designed to be more action-packed than ever before. Festival tickets will be available for purchase beginning at 9am PST on Friday, June 8 at www.feastportland.com. ALL NEW Thursday night main event, 80s vs. 90s! Twenty of the hottest chefs from Portland and across America will throw down at the ultimate throwback cook-off that’s guaranteed to be one for the books. The competition style event will enlist half of the participating chefs to represent the ‘80s and the other half the ‘90s all while set to cassette-worthy mixes at RoseQuarter Commons. With 80s vs. 90s as the inaugural inspiration, the Thursday night competition theme will change each year. 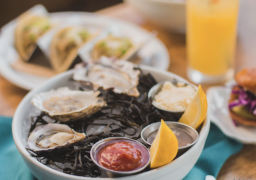 Night Market: Ring of Fire Edition Presented by Alaska Mileage Plan will take on a ‘Pacific Rim’ theme, showcasing dishes from the West Coast and places like Peru, Mexico, East Asia and more. 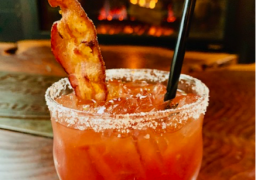 Encompassing everything from Hawaiian pig to American whiskey, the breadth of adventurous food and drink from 20 all-star chefs and bartenders will keep guests wanting more. Feast’s popular Fun-Size Events are the ‘Goldilocks’ events of the Feast family – not too big, not too small, but just right for a hot summer night of fun bites and cool drinks. This year’s events will include the return of Aaron Franklin’s Franklin Barbecue and Friends, a slice of Austin in Portland. Attendees can indulge in their love of French bistro food and Old World and New World wines at Nouveau Bistro, hone in on the electrifying flavors of Chinese-American cuisine at Big Feast in Little China, polish off a few oysters with beer in hand at the very first Feast Sunday Tailgate, and test their culinary skills (and knowledge!) in good ‘ole Basically Bar Trivia with the Bon Appétit team. Bringing together legendary culinary masterminds from near and far, 2018’s coveted Dinner Series will be one for the books. This year’s lineup of ten once-in-a-lifetime meals will feature an epic evening with Emma Bengtsson + Dominique Crenn + Kristen Murray; a one-night-only culinary trip to Mexico City with Joshua McFadden + Elena Reygadas + Fabian von Hauske; and a NYC’s alum beefsteak reunion with Peter Cho + Angie Mar. Plus, Feast’s first Zero Proof dinner featuring Gabriel Rucker, Andrew Zimmern, Sean Brock, Michael Solomonov, Gregory Gourdet, and Evan Zimmerman will break down barriers while serving up a life-changing meal. ‘Glass’ is back in session: Feast’s trend spotting Drink Tank Presented by Imbibe panels will return for discussions and tastings with leading beverage professionals hand-plucked from around the world covering hot topics like revered natural wines in Act Naturally: Natural Wine Comes of Age, a peek into designing the perfect, sessionable cocktail at The Art of the Session Cocktail, how rosé is inspiring brewers and cidermakers at Tickled Pink: Why Rosé-Inspired Ciders and Beers Are Taking Over, and more. 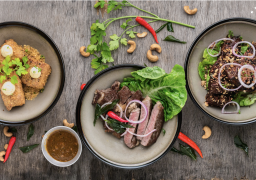 Feast’s Classes will once again give guests the opportunity to immerse themselves in the world of a tastemaker, a topic, and leave the festival with more than just a full belly. This year’s classes include Brunch with Benefits, a look into how to host an epic bubbles-fueled brunch, Pie Goals, where you’ll never think about your lattice pies the same way again, Steak & Eggs Part Deux, and an afternoon with Portland’s macramé master Emily Katz where she will demonstrate a handful of her favorite knotting techniques over rosé and bites at Macramé + Rosé, and more. The festival will see the return of the third “Feast Fab Collab” series, teaming up with some of the top participating artisans and chefs to create limited edition, one-of-a-kind Feast Portland-inspired items. Bon Appétit Presents Feast Portland will partner with Portland-based apparel company Bridge & Burn to create a limited edition festival t-shirt, now available for purchase at https://shop.feastportland.com/. A portion of proceeds from all “Feast Fab Collab” items and the Bridge & Burn collab t-shirt will be donated to Feast’s charitable partners. 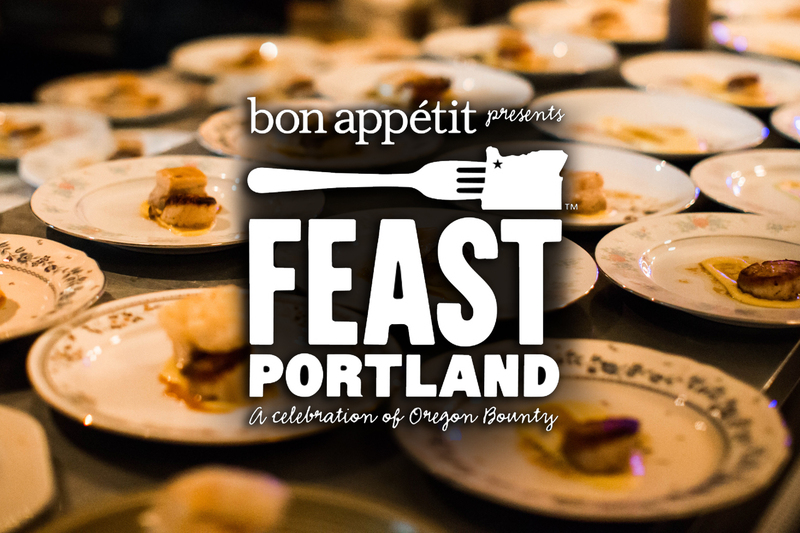 Bon Appétit Presents Feast Portland is an organization with a strong charitable mission. Since 2012, Feast has raised more than $372,000 to help end hunger in Oregon and across the country, and is proud to continue supporting this important cause through its 2018 charitable partners. The festival will continue its collaboration with Partners for a Hunger-Free Oregon, a statewide nonprofit organization that raises awareness about the problem of hunger and solutions, advocates for more just programs and policies to end hunger, and connects communities to food resources. This year, Feast will also add a second, Oregon-based charitable partner – Urban Gleaners. Urban Gleaners collects and redistributes over 70,000 pounds of food every month, feeding over 5,000 people every week through school pantries, summer free farmers markets, and Mobile Markets at low-income housing communities. “We love food and we especially love Feast—it's our favorite time of year! A meal only becomes a feast when it is shared, and we are so happy to be sharing in the abundance of talent and taste this community represents. Because of this partnership, we will be able to bring more food to more children and their families in September and get that much closer to fulfilling our mission of food for all,” said Tracy Oseran, Founder and Executive Director of Urban Gleaners. The complete Bon Appétit Presents Feast Portland lineup with event descriptions, list of participants, and ticket information can be found at http://www.feastportland.com/. Tickets for each event are sold individually and prices are all-inclusive of food and drink served at that event. Follow Feast Portland on Facebook, Twitter (@FeastPDX), and Instagram (@FeastPortland), and subscribe to the Bon AppétitPresents Feast Portland newsletter at www.feastportland.com to stay updated on all things Feast.